The best way to get your grill and grates ready to cook. Before you cook anything, start off the right way with a grill and grates that are clean and ready for action. Two minutes of easy prep will make a big difference on your food. A mountain of ash in the bottom of the grill can obstruct vents and make temperatures difficult to control. 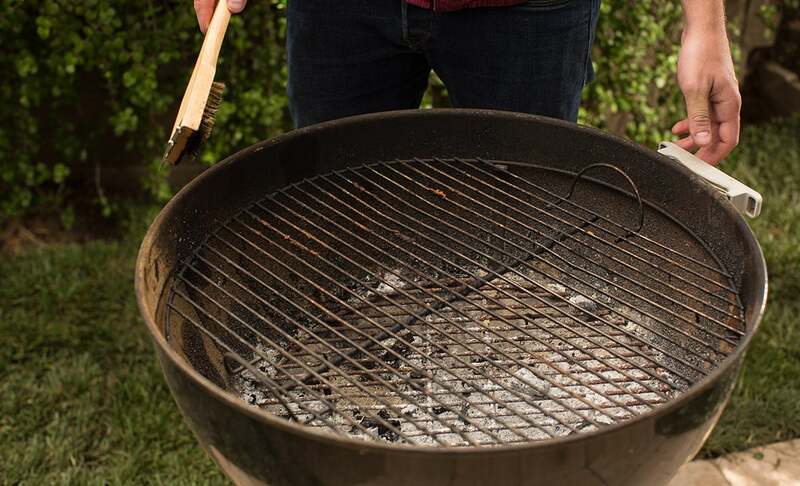 If you have a pile of leftover ash in the bottom of your grill from the last time you cooked, get rid of it now. Put the ash into a bag and dispose of it in the trash. 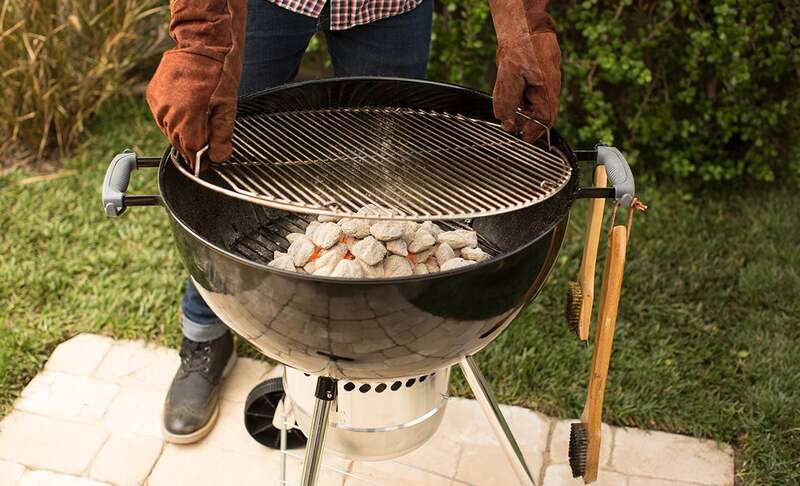 Use a stiff bristled wire brush to clear any rust or residue off your grill grates. 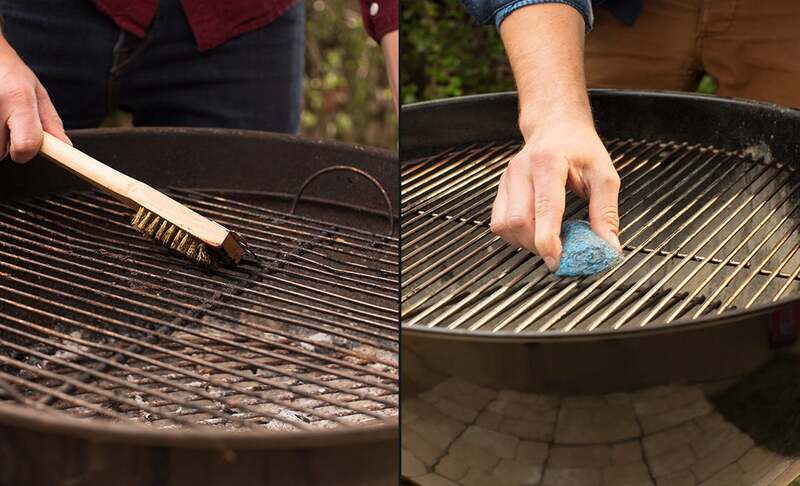 For extra-clean grates, use S.O.S® Grill Mates, which contain cleaning agents that help cut caked-on grease. Pre-heating your grill grates before putting food on them will help prevent foods from sticking. Once your coals are lit, put the grates on and let them heat up for a few minutes. A simple step that too many people skip. 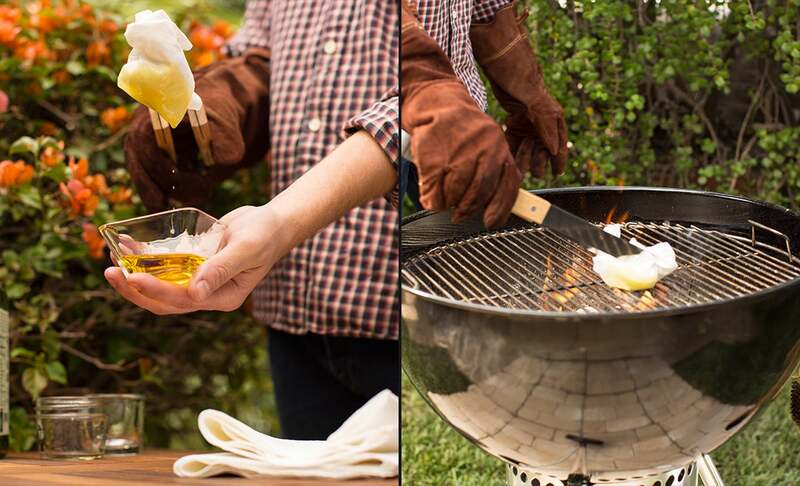 Wad up a paper towel and, using tongs, dip it in some cooking oil. Then use the tongs to thoroughly oil up the cooking grates. Your grill is now ready to add food and start cooking. "Pre-heating your grill grates before putting food on them will help prevent foods from sticking."